A nice and very popular way of serving desserts in restaurants nowadays is to plate them in different kinds of boxes or jars. This is easy and fun to try out at home. 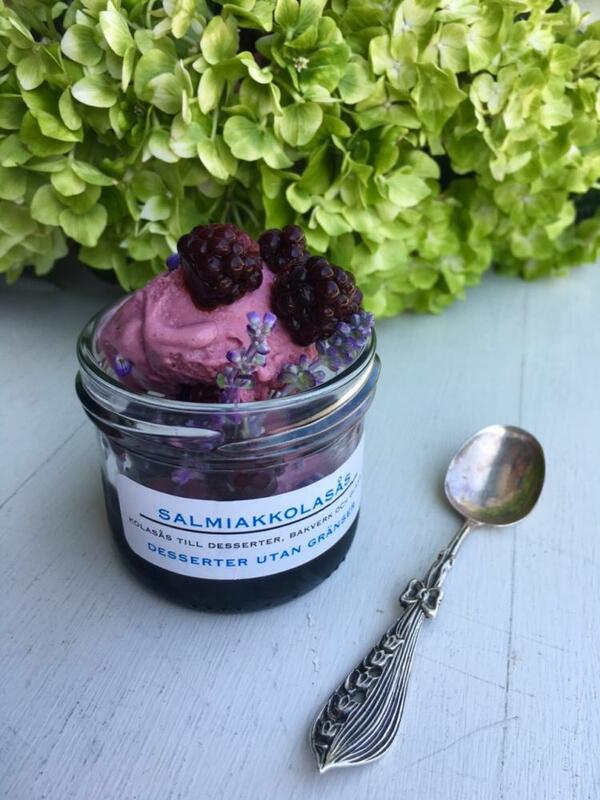 Here we have arranged our homemade blackberry icecream with Salmiakkola sauce and fresh blackberries in a jar for Salmiakkola sauce. Garnish with edible flowers (we used sage flowers) and blackberries.